Suppose you are alerted to the news of a foodborne disease outbreak, and as you scan through the details, you get even more shocking news: the outbreak has been linked to one of your products! This is arguably a manufacturer’s worst nightmare. According to a study from researchers at John Hopkins Bloomberg School of Public Health, a single foodborne disease outbreak at a fast-casual establishment could cost between $6,330 to $2.1 million in lost revenue, fines and lawsuits. And this is only on the financial side. Even more damaging is the harm a foodborne outbreak could do to a brand’s image. We’ve seen major brands struggle to win back customer loyalty after multiple outbreaks. So, how do you minimize the damage a potential outbreak or recall could cause for your business? Here are some suggestions. 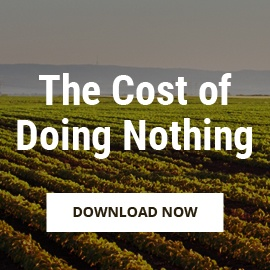 The food supply chain has become more complex. As consumers continue to demand more variety in their food options, supply chains have moved from linear, straightforward chains to intricate webs. This is because manufacturers source from several suppliers to meet the demands. The downside for the industry is that tracing an outbreak to the root source becomes tougher. 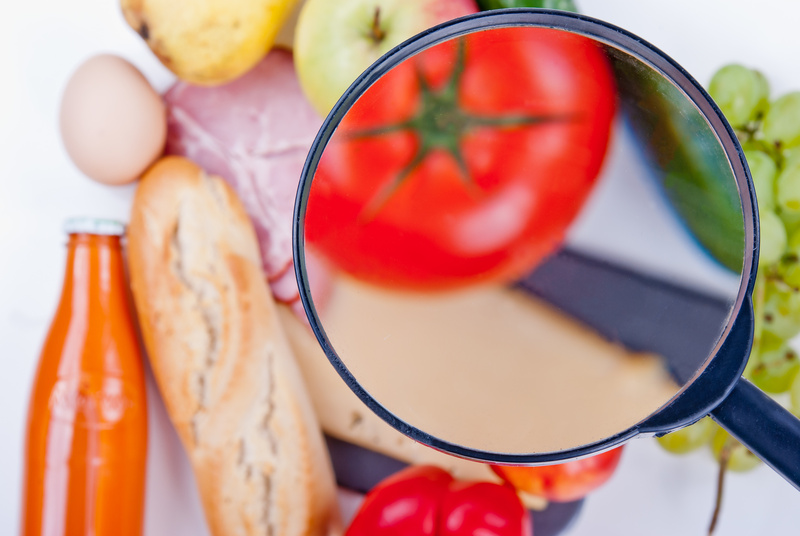 Unfortunately, when foodborne outbreaks happen, consumers are often advised to avoid all foods in an affected category until the source is ascertained. This was the case in the romaine lettuce outbreak last year. 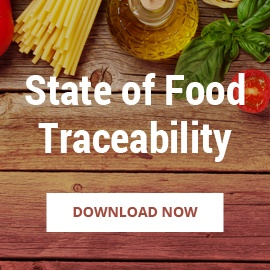 Simply stated, traceability may well be the only difference between a full-scale product category boycott and a contained food safety incident. 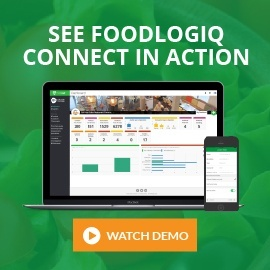 The solution is the adoption of systems and technologies that allow you to trace food safety incidents quickly and accurately. An article in Supply Chain Brain, “How to Minimize Damage From Foodborne Outbreaks Before They Happen” recommends the adoption of GS1 standards, which allows companies to identify products using global identification tags rather than other proprietary tags. Supplier products are identified through Global Trade Item Numbers (GTINs) while Global Location Numbers (GLNs) help to easily pinpoint the location. 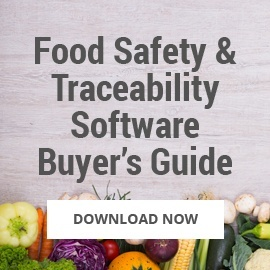 Traceability software solutions, like those provided by FoodLogiQ, work seamlessly with existing GS1 standards, helping you gain full visibility into your supply chain so you are better prepared to respond to outbreaks when they happen. In the food industry today, it’s more a matter of “when recalls will happen” than “if they will happen.” You simply cannot create a food safety or recall plan and assume that it works. You need to test the plan multiple times, performing mock recalls that simulate actual recalls as much as possible, until you are confident in the process. If your product is implicated in an outbreak, you should issue a recall immediately. This is why it is crucial that you have practiced the recall process several times. Be sure to keep the communication lines open. Keep both regulatory bodies and consumers up to date on the steps you have taken/are taking to address the problem. 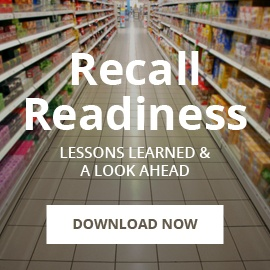 Learn more about preparing for future recalls in our latest e-book, Recall Readiness: Lessons Learned & A Look Ahead. 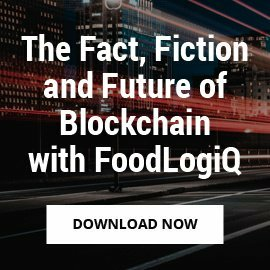 In this e-book we discuss notable recalls of 2018 along with how your organization can take a proactive approach using FoodLogiQ Connect's Recall + Response.